Won't You Be My Neighbor? is one of those documentaries that attempts to be a crowdpleaser while it sneaks in its message. 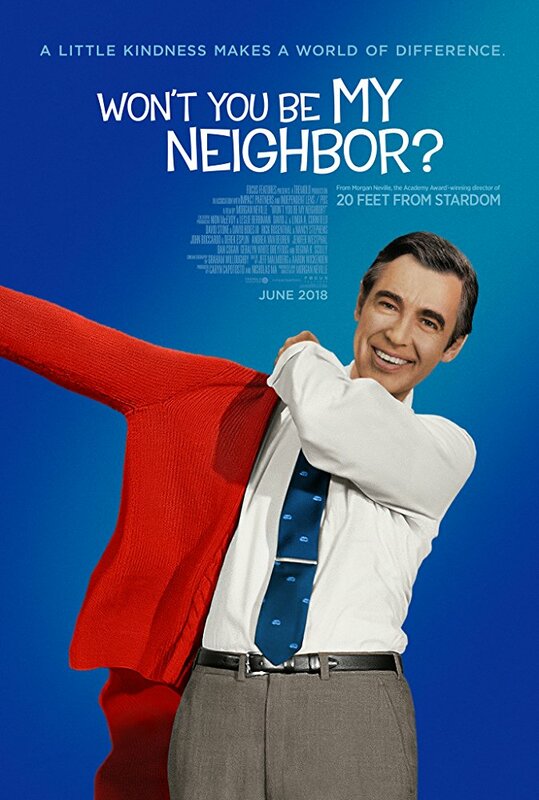 Director Morgan Neville mixes the charm and gawky charisma of Mr. Rogers with a dose of sentimental ennui about goodness in a dark time. The audience can't help but be enamored, and while this is going on Neville shows us all the ways Fred Rogers influenced a generation for the better. Neville focuses on Rogers' desire to make things better. The way he respected his young audience. The way he addressed important issues. In his eyes Mr. Rogers combated racists, federal budget slashers, assassins, those who would marginalize the most vulnerable, all by being a decent person in an indecent world. His Mr. Rogers is a loving and unassuming hero. His case weakens slightly when he glosses over some more troubling aspects of Roger's history like when he made a gay cast member to stay closeted. Instead of embracing some of these less than flattering features and showing us that no man is perfect, Neville quickly excuses it and moves on, focusing on his hero's journey. But his film is enjoyable and a loving tribute to a man who did influence a generation for the better. I reflected on the ways that television shows of my childhood, like Sesame Street and this one, truly did teach me the sorts of values which I have taken into my adulthood and it is artists like Fred Rogers, who many not have been perfect, but who did what they could to contribute to having a better society.